On Sunday, 2nd February 2014, during the Candlemas liturgy at the Cathedral Church of St Colman, Cloyne, the Reverend Canon Daniel Nuzum was installed as Prebendary of Brigown by the Dean of Cloyne, the Very Reverend Alan Marley. 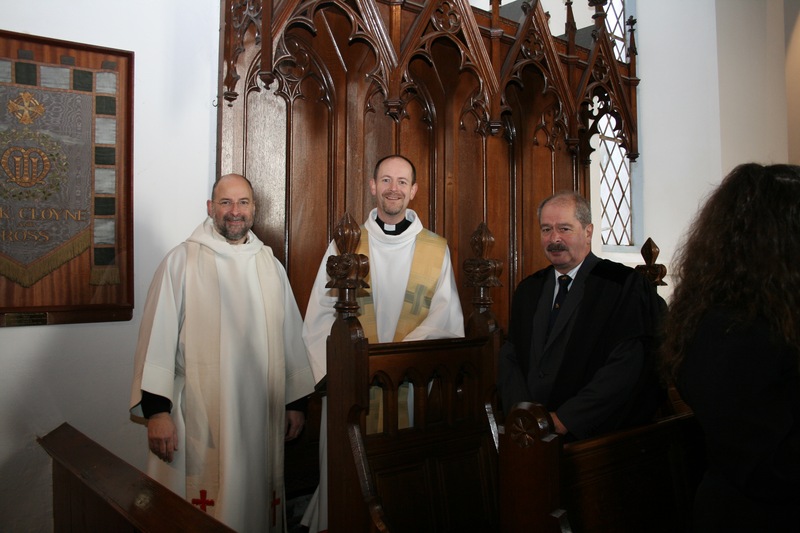 Canon Daniel Nuzum, (centre), Prebendary of Brigown, after his installation by the Dean of Cloyne (left), the Very Reverend Alan Marley, who was assisted by the Diocesan Registrar, Mr John Jermyn (right). Photo: Adam Nuzum. This entry was posted in Appointments, Cathedral, Diocese, Installations. Bookmark the permalink.